Think about how much time you spend commuting to and from work. Then consider that just a few decades from now, it is estimated that Tennessee commuters will spend 113% more time in their cars each day. That means that the average commute—which stands at 47 minutes today—will be upwards of 100 minutes circa 2040. “It’s definitely increasing,” says Michelle Lacewell, Deputy Director of the Greater Nashville Regional Council (GNRC) referring to the level of congestion seen on Nashville roads these days. The GNRC is a planning organization involving 13 counties and 52 cities in the region, offering a variety of programming and services related to growth management. Among their priorities is the development of the region’s long-range transportation plan and “short-range transportation improvement program”— actively working to address traffic congestion and other related issues. 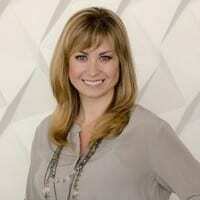 For her part, Lacewell endorses walking or biking to work. That is, “if you are lucky enough to live close enough to your place of employment,” she says. Of course, many people don’t enjoy the luxury (and the built in workout routine) of walking or biking. For those individuals she advocates sharing a ride, which in the past, might have been a challenge to arrange. Here is where new technologies like Hytch play a key role in defeating traffic. Hytch earned 2018 Emerging Company of the Year Award presented by the Nashville Technology Council and Hytch was the winner of the Metropolitan Planning Organization’s Innovator of the Year Award in early 2017. “Every year we give away an award for innovation at our annual meeting and we recognized Hytch because of the unique perspective that the company takes on commuters —bringing people to and from work—[which is] one of our busiest times of the day on our roads.” says Lacewell, “It’s a great idea!” And thanks to forward thinking companies like Nissan and Franklin Synergy Bank, both the driver and passenger get paid when they share a ride using Hytch. Sharing rides can be a lot of fun too! Friends, neighbors and co-workers invite each other to “hytch” sharing a few laughs like Lacewell and Carissa Biele did on their ride -- and you will too, while earning points that convert to cash!  Visit Hytch Rewards to learn more, or sign up today to earn cash and beat traffic at the same time!